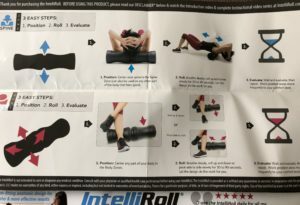 IntelliRoll sent me their Firm and Flex rollers. 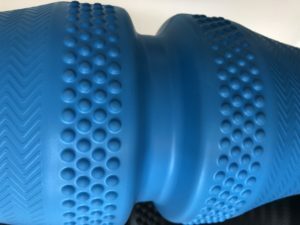 I have used MANY foam rollers for different purposes, but straight up, this is the BEST Foam roller I have ever used. The black IntelliRoll is the Firm, Blue is the Flex, and pink is the Flexy. Video from dr K about how its used, and why rolling is important. My favorite things about these rollers are they are contoured to fit your body. 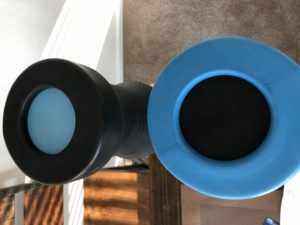 They are NOTHING like the regular foam rollers that have give to them, but not able to get into the small spaces. Our body and torsos round and contoured. The IntelliRoll has an anatomic design (body zones). This is impressive and I notice more even pressure over more surface area that could not be reached before. I notice multiple muscle groups getting targeted at one time, which is awesome. My lower back has never been able to handle a foam roller. However, I notice a huge difference using the IntelliRoll over a regular foam roller. I get WAY more release/relief, and I hit spots that I never knew were sore in the first place. The pressure distribution is a lot better that it was with my old roller. The Spine Zone targets the muscles and joints of the neck and mid-back while protecting the vertebrae. This is HUGE! I think this is why I have never been able to roll my lower back. The curved Body Zones wrap around the low-back muscles to release tension quickly and safely. IntelliRoll helps align your spine and improves posture. The surface of the roller itself has amazing grip and control so it wont slip while you are rolling. The material itself is a high quality, durable, EVA, foam. As a working mother, wife, and blogger, I never seem to have the time for self care. This roller appealed to me, because in order to make it to the chiropractor, I have to miss my daughters weekend gymnastics. Dr. K (doctor of chiropractic) created the IntelliRoll because of the need for self care. 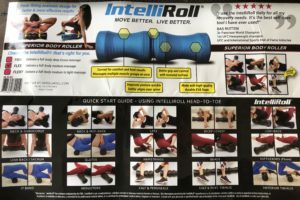 As an added bonus, when you purchase an IntelliRoll you get access to the body fix university which is a library of educational videos combining mobility techniques and strengthening exercise with the IntelliRoll. It also comes with a great IntelliRoll Quick start guide! I usually start with the neck to get my spine positioned in the IntelliRoll spine zone. 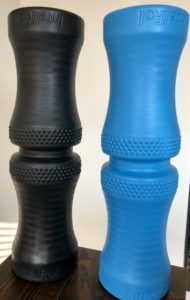 Since getting this roller, I have found myself rolling WAY more often and having more flexibility in general movements as well as fewer headaches.